Checking out what is trending on YouTube is one of the most reliable ways of establishing what content is going to be popular. Most gurus and experienced users of the site will recommend looking at that data before deciding on the next video you will be making – or at least when to release it, as many topics can ebb and flow with regularity, and come in and out of vogue. Some of the best content I have seen on the web, especially in the humor category, have come to my attention through trending lists. Seeing what is popular will connect you with what the world is watching, so you can be a part of it. But how do you find these trending videos? What is the best way to regularly monitor the changes? There are a couple of ways to keep up. This is probably the easiest way to find out what is hot right now on the site. It allows you to browse trending videos, search by demographics like age, gender and region, and compare videos to see how they differ in popularity, demographic and range. You can even see the most shared versus the most viewed, to better target your results. Any time you are planning a new video, or if you just want inspiration on a topic to cover, YouTube Trends Dashboard should be your first stop. It is a very fast and simple way of getting the data you need to make an informed decision on content. A helpful blog that looks at the big trends rather than the small ones, you can find a lot about the more sustainable viral content that stick around for more than a couple of days. It has a map section that shows what is trending in what region at any given moment, as well. So while the blog itself is dealing with longer term trends, you can see data including the shorter lived ones, as well. It isn’t just about videos, but about all trending topics on the web. Good Trends offers a Top Charts section that breaks everything down into categories of what is hot. So you can see what is likely to catch attention on YouTube, just as it does on the web at large. This is so much better than the old Google Trends format, which was harder to read and not nearly as informative or user friendly. It is always nice seeing the basic topic of a video without having to scroll for the description. This site offers a basic look with text in various sizes. The bigger the text, the more popular the video it represents. Clicking on the text will take you to the video itself so you can watch it. You can generate your own cloud based on criteria like the most viewed videos, currently trending and most popular. Then specify the date, region and category if you choose. The best part is you can view anything through little pop ups on the page, so no having to go back and forth or open new windows/tabs. Any one of the tools above can help you out, but I would suggest using them all. You might also want to start subscribing to popular channels where content trends on a regular basis. YouTube stars will often have their fingers on the pulse of the web, and that site in particular. Seeing what they are putting out and even commenting on/adding to their favorites can tell you a lot about what is being seen around the web. Or what will be popular in the near future. Do you know of any tools out there that will show what is trending on YouTube? Let us know in the comments, and be sure to leave a link! We are always looking for more tools to add to our kit. 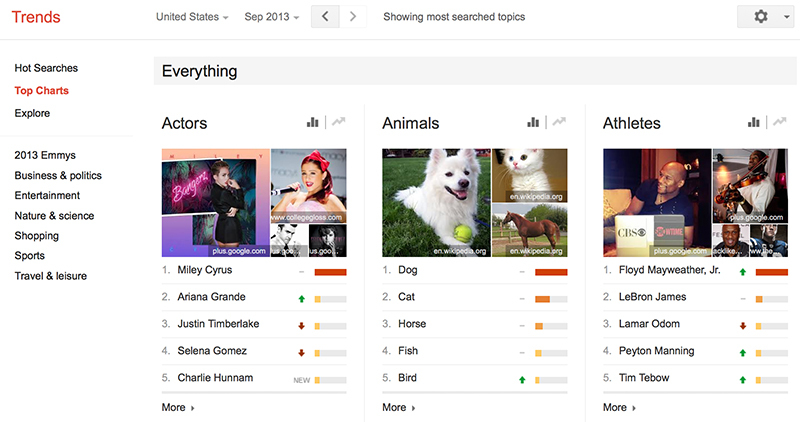 Do you know how to see what’s trending on Youtube?